Flickr is to increase the file sizes it allows its users to upload, in response to ever increasing resolution cameras, such as the recently announced Nikon D800. Currently, users of Flickr's free service can uploaded file sizes of up to 15MB, while for pro members that rises to 20MB. Speaking to TechRadar, head of product, Markus Spiering said, "In the next few weeks you're going to see adjustments to the file sizes you can upload." "With cameras such as the Nikon D800, we're going to update the limit in the next few weeks." JPEG images straight from the camera will vary in size, depending on the resolution shot at, but raw files weigh in at 76MB, while TIFFs can be as large as 212 MB. 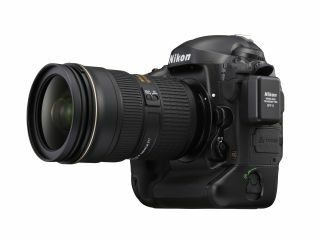 Other high resolution cameras are available on the market, but currently, the Nikon D800 is the highest resolution full-frame camera on the market. At the moment, the Canon EOS 5D Mark II is the most popular DSLR being used on Flickr, which also told us that DSLR usage was still on the rise, despite the increasing prevalence of mobile phone photography. The new limit for file sizes has yet to be finalised, according to Spiering, who also told us that there are still relatively few users hitting the limit. "We see that the files are getting bigger and bigger, and we track when people are hitting the limit," he said. "It's still a very low number of people, but it does give us a signal that there is something we might need to change there." Flickr is currently rolling out a redesign that will be completed over the coming weeks.